Rejuvenate & Hydrate. Treat fine lines & wrinkles and loss of firmness. This is a time when we start to see the signs of decline in levels of various hormones & cell damage, however we don’t have to accept this. Our Essentials Collection & Advanced Night Repair targets fine lines, wrinkles & loss of firmness and rebuilds collagen. 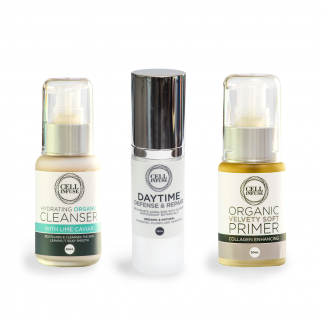 Potent anti-aging active products designed to help slow down and even reverse the process.